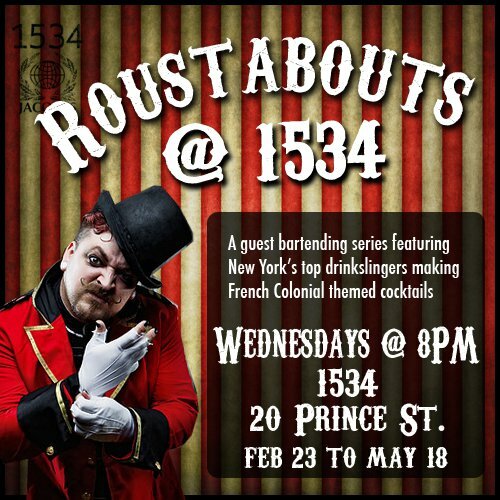 Nolita's 1534 introduces a guest bartending series next week. Guest bartending is nothing new, especially given the jetset lifestyle of today’s mixologists, but lately, NYC cocktail bars seem to be taking the “have shaker, will travel” concept up a notch. Last year’s opening of Forty Four at the Royalton featured an ongoing series of guest appearances from the Cocktail Collective, the bartenders who consulted on its cocktail menu. Visits from Eric Alperin of LA’s Varnish, Misty Kalkofen of Boston’s Drink, or John Lermayer from Miami’s The Florida Room translated into flash crowds at Forty Four, in attendance for the touring drink-slingers’ star performances. More recently, Fatty Johnson’s, part of NYC’s current pop-up restaurant craze, has featured a different mixologist or brand ambassador every night (from Eben Freeman to Dave Wondrich), with their own exclusive cocktail menus. Check out Fatty Johnson’s Tumblr highlighting the guest bartenders’ demo videos and cocktail menus. 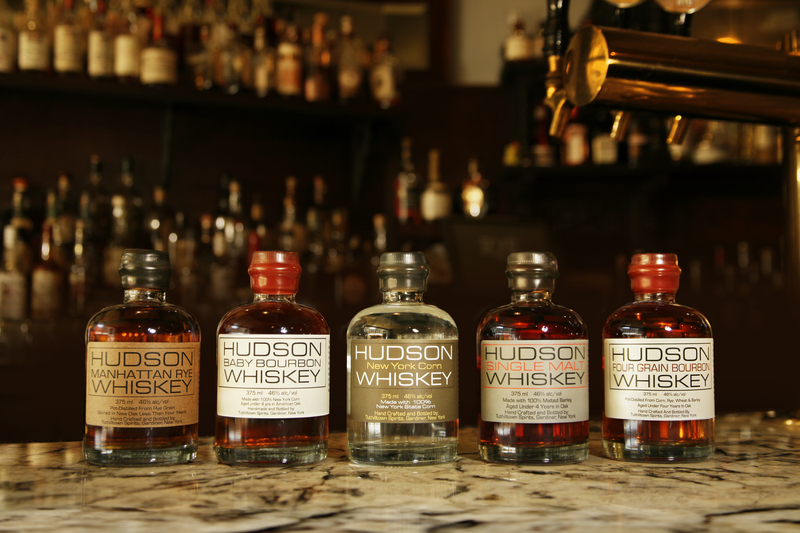 Tuthilltown's Hudson Whiskey line went global in 2010. Which microdistiller will be next? Micro goes macro: In 2010, we saw Tuthilltown Distillery”s Hudson Whiskey line go worldwide with acquisition, marketing and distribution by the UK-based William Grant & Sons. The sale was considered a giant leap for the craft distilling movement as larger brands took notice. I’m guessing we’ll continue to see small batch spirits take on more of the market this year. Bartender-owned bars: Word on the street is a number of high-profile bartenders are saving their pennies to open the bars of their dreams this year. In late 2010, The Drink, an all-punch nautical-themed bar in Williamsburg, was opened by a team including veteran bartender Frank Cisneros of Dram. Expect to see more of these rec-room-style bars serving crafty drinks–or, bartender’s bars, if you will. Cocktails on tap: We’ve seen wine on draft, and as previously mentioned, mixologists are readying for alcohol-infused libations from the soda gun. El Cobre on Avenue A is serving Dark & Stormies on tap with Gosling’s Black Seal Rum, lime and CO2. In San Francisco, Fernet (which flows like water there) is on tap at a couple of bars. It’s only a matter of time before NYC gets fizzy with this trend. 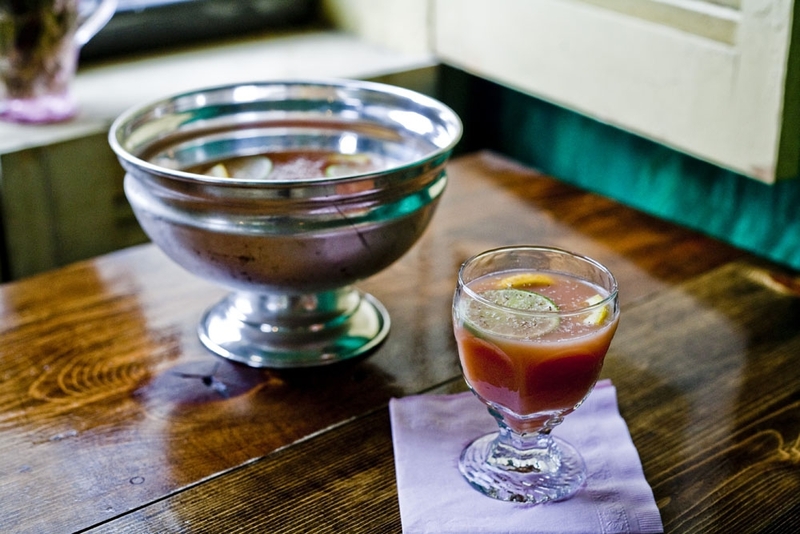 The punch bowl floweth: This is already old news in NYC, but I’m excited to see how other cities adopt this trend. 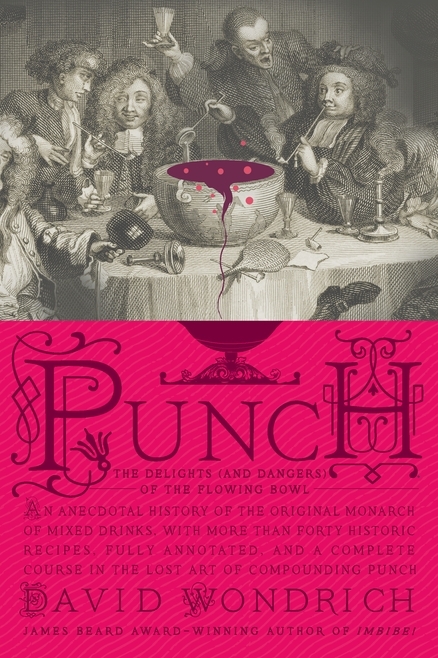 I’m also hoping we see a wider variety of punch bowl sets on store shelves. However, I’m not too keen on the idea of drinking out of giant flamingo fountains–that just sounds unsanitary. Wood works: Whether barrel-aged cocktails are embraced beyond drink nerds or not, one thing is for sure–experimentation with various cooperage is a continuing trend. In 2010, for instance, we saw Excellia Tequila finished in Cognac casks and Maker’s 46, featuring original Maker’s Mark finished in barrels with staves of seared French Oak. Live entertainment: Expanding on 2010’s love affair with piano bars, I wouldn’t be surprised to see more cocktail bars adding vintage music, vaudeville and other shenanigans to the menu, with customers sporting more sophisticated attire to match. Anyone can be a mixologist: As educational programs teaching the craft of cocktail-making and organizations such as the USBG continue to go mainstream, more and more amateurs are finding the confidence to make complicated drinks. Some “bar-tweenies” could use more training. Of course, just like anything else, only the strong will survive–but the opportunity to get schooled is there. You bitter be ready for The Bitter Truth in 2010. Creme Yvette: Rumors are swirling that this highly anticipated liqueur from the makers of St-Germain elderflower liqueur will finally be released in the first quarter of this year. Featuring notes of berries, spices, honey, vanilla, and a hint of violet petals, Creme Yvette disappeared in 1969, but Robert Cooper’s family has the rights to the recipe and has been fine-tuning the relaunch. Considering how well Creme de Violette went over with mixologists seeking the missing link to a proper Aviation, expect to see the reddish-purple Yvette make a splash. Terroir in spirits: One great trend to come out of microdistilling is that I’m tasting more terroir, or sense of place, in spirits. I think more and more spirit brands, such as Finger Lakes Distilling and Harvest Spirit’s Core Vodka, are looking to be an homage to their terroir. Japanese tools and techniques: The art of Japanese bartending, inspired by the Japanese tea ceremony’s attention to detail, is sweeping cocktail culture–at least for those with the luxury of making slow drinks. From handcarved ice balls to the hard shake, these skills are quickly becoming an expected part of the mixologist’s showmanship. Tools can be found on Cocktail Kingdom. Mezcal for the masses: Mezcal was a hit here in NYC among cocktail lovers who embraced Mayahuel last year, so don’t be surprised to see the smoky agave spirit go even more mainstream this year. Hot new brands include Sombra, Benesin, and Métl. Tiki everything: The end of 2009 saw the highly-publicized opening of tiki mecca Smuggler’s Cove in San Francisco, and suddenly, cocktail culture got way less serious. Sipping rums: On a related note, everyone from The New York Times to the Village Voice seems to recognize the appeal of sipping premium rum for the Winter of ’09-’10. This lines up perfectly for the classic daiquiri to be the drink of the Summer of 2010. 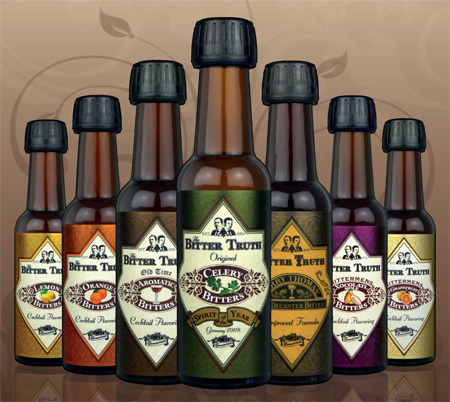 Bitters on blast: Later this month, German-made The Bitter Truth Bitters–until now hard to get unless ordered online via Cocktail Kingdom–will be distributed on store shelves stateside thanks to DSWE Classic & Vintage Artisanal Spirits. Aromatic flavors such as the Xocolatl Mole and Celery will first be launched in 16 states. Moonshine: Small-batch corn whiskey modeled after the homemade version synonymous with the South is finding its way into cocktails. Brand-name moonshine such as CatDaddy Carolina Moonshine–sweet, high-proof, and aromatic–could be an ingredient in your next punch.